Bitumen Emulsion Equipment Check in Ghana - GlobeCore Bitumen Emulsion. GlobeCore provides customer support during design and production of equipment, and also during its operation. 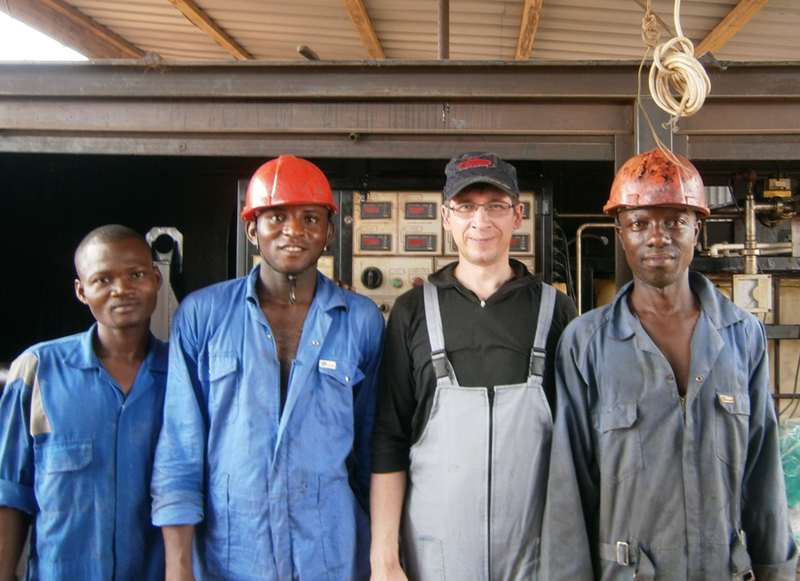 GlobeCore staff periodically visits units in operation to monitor their condition and share experience. At the beginning of 2016, the choice fell on Ghana. Transport infrastructure of Ghana is represented by railways with total length of 1300 km, and roads 39.41 thousand km in length, out of which 11,67 thousand km are roads with hard surface. Also in operation are 12 airports and airstrips and 2 seaports. Despite the fact that Ghana is one of the leading countries in West Africa to be provided with road infrastructure, this figure is inadequate. In addition, most of the existing roads need major repairs. reduce harmful emissions into the atmosphere. These factors contributed to the fact that four years ago a UVB-1 unit from GlobeCore appeared in Ghana. During the operation it produced 40,000 m3 of bitumen emulsion! The inspection showed that the equipment is in excellent condition and ready to further contribute to the development of road construction industry in Ghana.